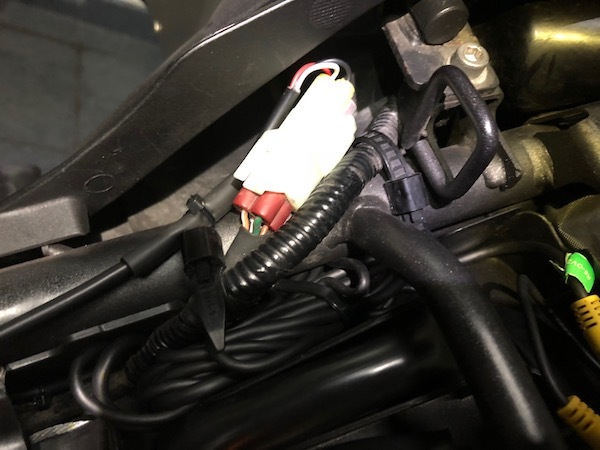 Connected to the diagnostics / OBD port. 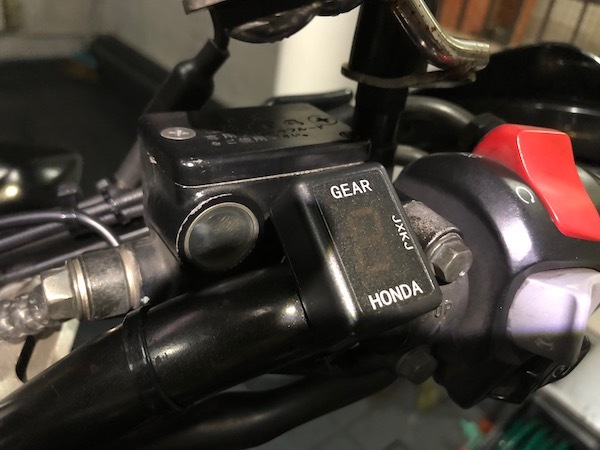 Gear indicator installed on the handlebar. Installation was straightforward. It’s quite literally plug-and-play. Just plug it into the OBD / diagnostics port and it’s good to go! The gear indicator defaults in learning mode, and you’ve got to run the bike and engage the gears 1 through 6. 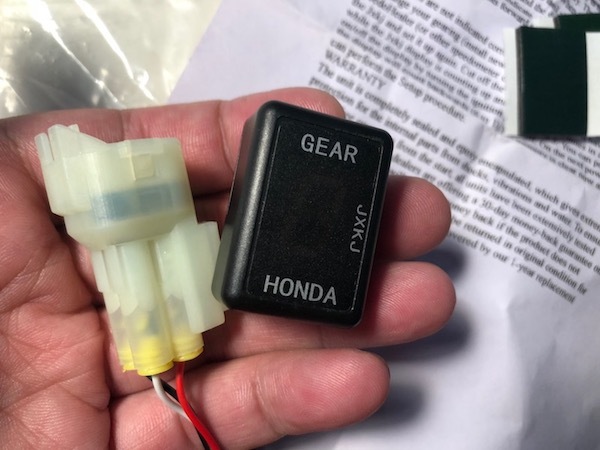 Once it figures out the speed / rpm ratios of the respective gears, it keeps it in memory and will display the gear you’re in every time the gear is respective engaged. 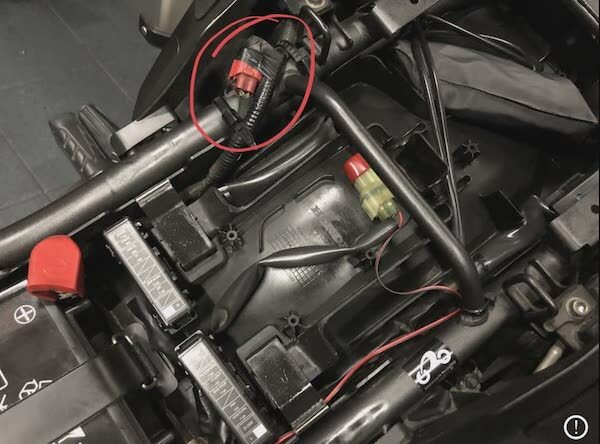 While this solution is pretty neat – easy to install and no modifications required, it does however, require you to have your clutch released and gear engaged before it displays the gear you’re in. So if you’re clutched in and shift through multiple gears, it won’t display the intermediate gear numbers until you release the clutch – by which it will then display the current gear you’re in. Not a deal breaker, but something to take note of. So, I hope this is gonna save my office leather shoes from that finding a higher gear even when I’m already in gear 6. Where did you get yours from? And what do you mean by going through all the gears as it is in learning mode? Does it mean that I must go for a ride till gear every is engage? Because my ride doesn’t have a main stand. You don’t need a centre stand. You just need to ride normally and run through every gear for a while, while the gear indicator learns the ratios. As many time while I driving I forget in which gear my bike runs. I am really worried about this and finding a solution for this problem. And finally, i reach your blog and find the solution to my problem. Thanks for solving my problems. 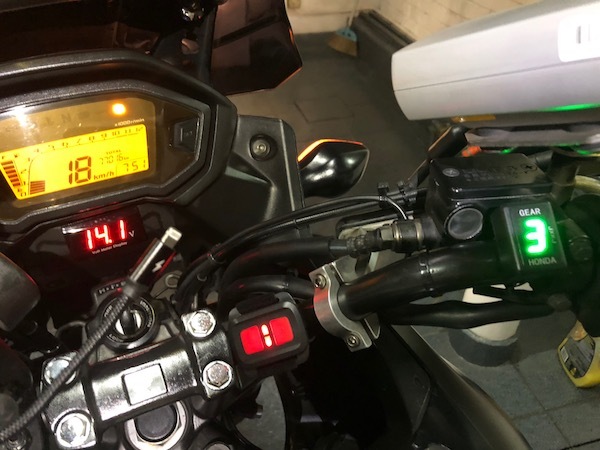 May i know where I can purchase this gear indicator in singapore? Just recently got myself a 400x and having the same issues with you too – finding gear with office shoes. Have you tried searching on Carousell? Yes i did. Actually came across quite a few types and brands and price ranges between $10 bucks to $200. So not really sure which brand or type that i should get. I unfortunately cannot offer an opinion here as I’ve had very poor experience with mine. It died almost immediately and the seller refused to honour the replacement.